Conforming loans, considered lower risk loans, make up the largest segment of loans in the country. In the U.S., lenders package mortgage loans into investment bundles to sell and lend to both Fannie Mae and Freddie Mac. These two companies, which drive the housing market, provide a secondary market for mortgages. In effect, Fannie Mae and Freddie Mac, aligned with the FHFA, have certain guidelines and significant loan limits that conforming loans adhere to. They make it easier for a borrower to qualify for the loan in that they can allow wiggle room for a FICO credit score, can offer lower down payments, and can have lower mortgage interest rates. The nature of the loan’s structure legally binds the borrower to purchase a number of mortgage loans under a loan limit. 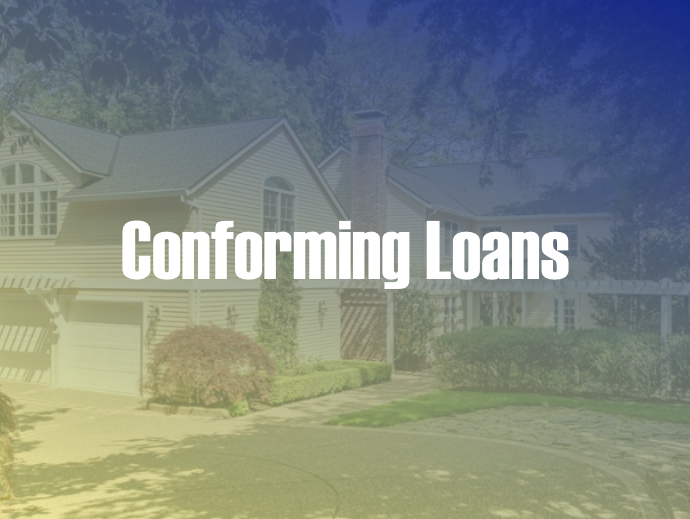 The FHFA, through Fannie Mae and Freddie Mac, sets the “conforming loan limit.” In order to get a conforming loan, the borrower must be under the loan limit in their area. Loan limits can change as well. For instance, the FHA recently announced that the loan limits for conforming loan limits would change in the year 2018. In effect, the loan limit has increased to $453,100 for low costing areas. In high costing areas such as Alaska and Washington D.C., the conforming loan limit ceiling has increased to $679,650 on the other hand. Some limits are even higher in cities in California, Alaska, New York, and Hawaii. For starters, it is germane for a borrower to have a post-bankruptcy discharge of four years to qualify for conforming loans. Next, like majority of the loans, the borrower must place a minimum down payment of 3.00%. The minimum down payment is especially stressed for a first-time homebuyer. No additional up-front fees are associated with this loan. However, like the FHA loan, there is a mortgage insurance premium (MIP) requirement that serves as a financial backup to the lender in case the borrower defaults. Fannie Mae and Freddie Mac require a MIP of 1.05% for a 30-year loan. A borrower would be making a $12,000 ($400,000 x 0.03) down payment if the loan he took out is $400,000. Additionally, he would be able to make a $350 (($400,000 x 0.0105) ÷ 12) monthly payment with a loan of $400,000. Nonetheless, if the borrower pays down 78.00% of the purchase price, their MIP is eliminated in as little as two years. Furthermore, the borrow can deduct part or all of the cost of the insurance from their taxes if their household adjusted gross income is at most $109,000. Having a high FICO credit score is extremely beneficial for a borrower receiving conforming loan funding. With a high credit score, the borrower is able to drop the private mortgage insurance premium in a few years. It becomes especially easy to do so if the borrower’s equity in a home is 20%. The MIP is higher for conforming loans than for FHA loans in the beginning. However, this is only temporary for borrowers with high credit scores. Also, Fannie Mae or Freddie Mac can increase the borrowers’ mortgage insurance if they have an unhealthy credit scores. Because conforming loans offer “risk-based pricing,” it is best for a borrower to have a higher credit score. A high credit score translates to better interest rates and higher LTV that the borrower can get with a Fannie Mae or Freddie Mac loan. For instance, a FICO credit score of as little as 620 can lead to a LTV of 80.00%. On the other hand, a credit score of 740 can lead to a LTV of 97.00%. In general, most conventional lenders do not even finance borrowers with low credit scores of 620 in most cases. Obviously there are cases in which the borrower qualifies for the conforming loan without meeting the aforementioned requirements. In those cases, the lender must provide justifications for why the mortgage may present an acceptable risk however. Additionally, the lender must also provide compensating factors for loan approvals. If you are looking to purchase a new home, conforming loans are the loans that you should look into. We can help you find a mortgage loan fitting your personal and housing needs. Our loan programs help maximize an individual’s returns for their housing needs. 3CALoan has developed comprehensive conforming loans that require the customer to make a minimum down payment of 3.00%. Furthermore, our downpayment assistance program can provide assistance to new homebuyers with mortgage costs. Our competitive rates, efficient services, and talented team can help ease the process of purchasing a home. We walk our customers through the lending process. We inform and educate our clients about the whole lending process to make it easier for them. 3CALoan can offer a conforming loan fitting an owner’s individual needs. Our excellent, quality services are reflected on our client’s happiness and confidence upon closing a mortgage deal. To find out more information about conforming loans in detail and how we can help, please contact us at (818) 322-5626.